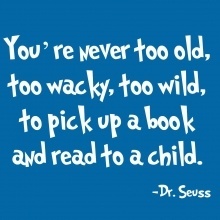 This is write the report cards week, anti-bullying/pink shirt day week, and Dr Seuss' birthday week. 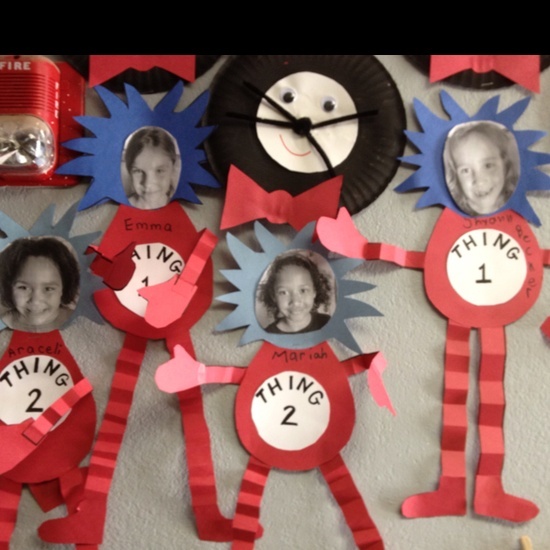 Instead of writing report cards, I was blog stalking and playing Pinterest, looking for some Dr Seuss fun yesterday afternoon. 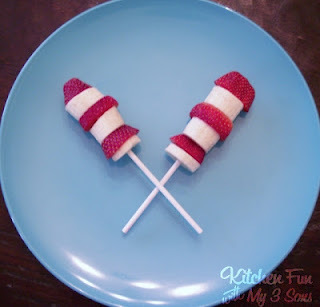 This is what I think my kidlets will be enjoying at the end of the week. In Lieu of Preschool made this Dr Seuss sensory bin. They created the truffula trees from painted cotton balls and sticks. Very cool. I like to save The Lorax for Earth Day, so we will have to create some other Seussical trees. My favourite Dr Seuss book is Green Eggs and Ham. 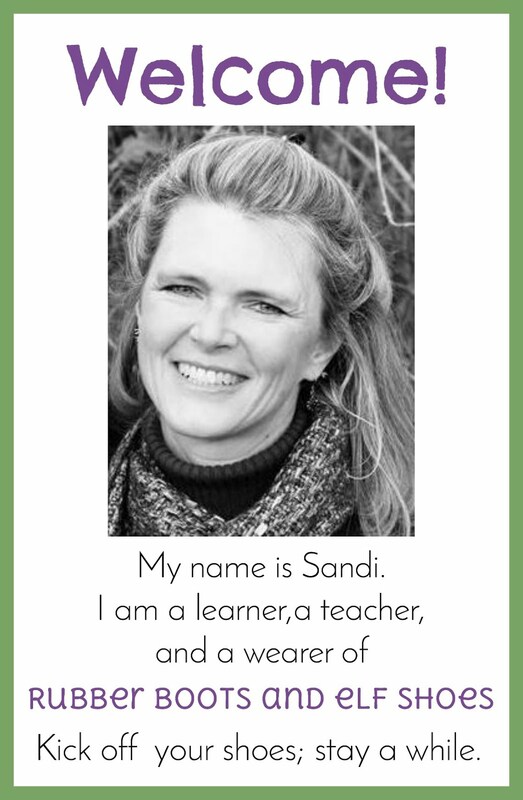 'Cause I like it, Sandi I am. 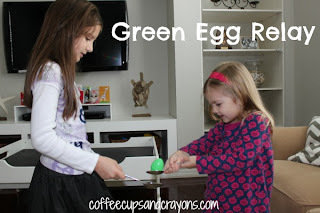 Coffee Cups and Crayons filled a green plastic Easter egg with sand and had relay races. 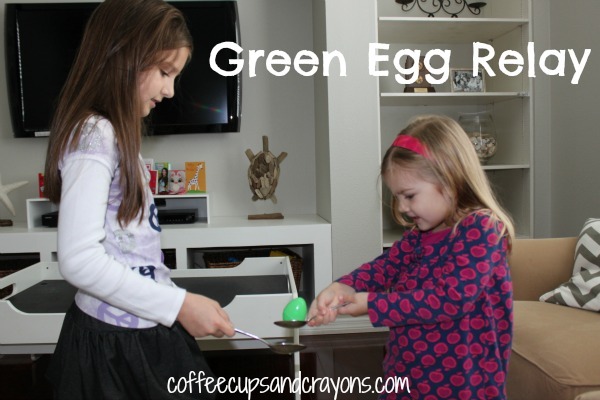 If we eat green eggs (no ham), we'll go for green pudding with a vanilla wafer. 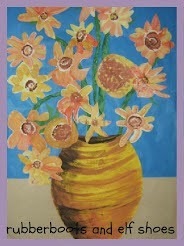 ( Let's hope those report cards get written easily. ) 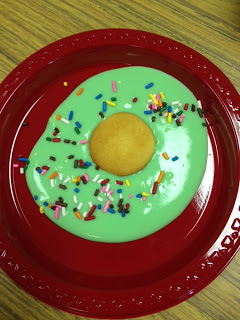 These are the green eggs that Mrs Lirette and her Learning Detectives enjoyed last year - vanilla pudding dyed green and a vanilla wafer. Most of my kids do not have the foggiest clue who Tim Tebow is (hockey is king here - ask them about the Vancouver Canucks), but they like videos, so they might get to enjoy lunch with a movie. The Cat in the Hat and Thing 1 and Thing 2 are fabulous characters (even though I don't find the book as amusing as many other's do). 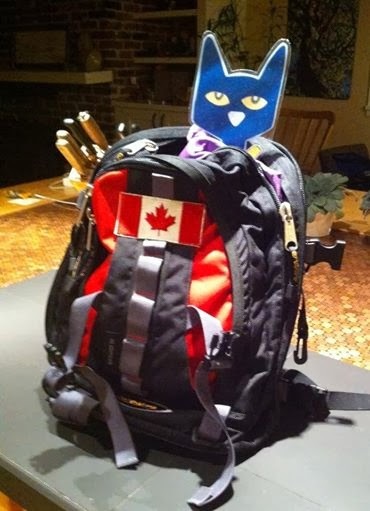 I love these Things that Tina Ruff made with her kids. This snack from Kitchen Fun with My Three Sons is fun, quick to prepare and healthy. You found some great Seuss-y stuff!